All mono users can change their subdomain from e.g. www.u45693.mono.net to www.myveryown.mono.net. 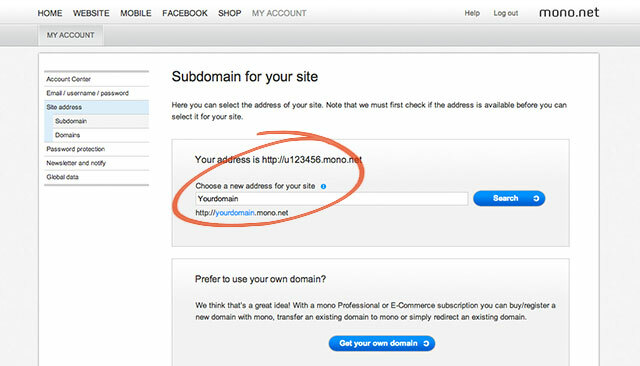 Even if you only have a Free account, you can change your subdomain without charge. Log in to your website and go to My Account > Site Address > Subdomain. Here you can either choose a new subdomain or get your very own domain if you have a Professional, E-commerce or Pro Service subscription. Copy your entire site to Mobile and save yourself the time of building it up from scratch. Once you are happy with your desktop version, go to Mobile > Site settings > Import content from website. Remember that all existing data on your mobile page will be overwritten with this feature. And a good tip is to check it on your smartphone after publishing it to see if it looks ok – if not you can adapt your headlines and text on the mobile version without affecting your desktop version. When pasting text into a mono text module from the web, Word or other places, you often experience that it looks weird when you publish it. But if you highlight the text in the module and click the “IX “ icon, all formatting will be deleted from the text, and it will look smashing when you publish! 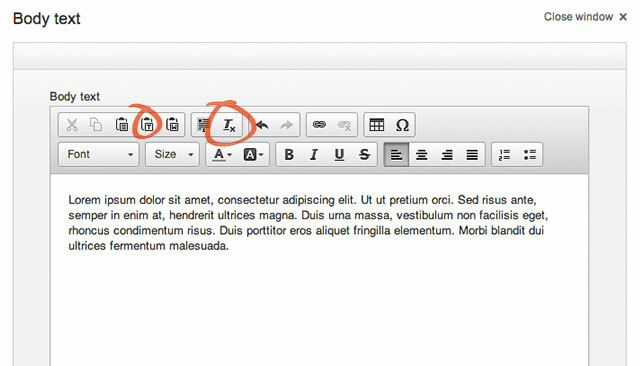 You can also use the “Paste as plain text” button when you insert your text to get the same results. Just note that links you may have imbedded to your text will disappear with the latter “Paste as plain text” button. A few weeks ago we told you about the new Global data functionality. It is such an awesome feature that we have to put it on the list! Log in to the tool and click My Account > Global Data and fill in your information. You only have to do it once, and then you can just write e.g. 78 75 03 45 or Mono where you want it mentioned on your website (remember to use small letters). If you then someday need to change it, you only have to go to the Global Data form to change it and it will automatically be updated on your entire website! How’s that for a time saver? If you have the need for managing the access to specific pages or your whole website you can use Password protection. Each user must then be assigned a username and password for your website in order to get the information. Log in and go to My Account > Password protection to get started. You can easily change the language of your account center by going to My account > Account Center > Account Details à Language. Choose between 20 different languages! Recently we have added a lot of new full width modules to the tool (Check out the new Full width category in the modules section!). And if you put them up against each other you can actually make the background color change accordingly. Test it and let us know how it goes! You can also read more about full-width modules at mono Academy for more information. Speaking of mono academy, that is probably the best secret weapon available for mono users. It literally takes you through everything you need to know about building, designing and marketing a successful mono-built online presence. It’s a lot of information but it’s worth it and it’s available 24/7. Go to mono Academy. Ok so this might be for the more advanced mono users but it’s a great tool just the same. You can now remove the automatic spacing placed around any given module by opening the module and going to Advance Settings and clicking the checkbox for removing the spacing. This works especially well with the full-width modules and gives you a lot of design flexibility. Learn more here. Create Facebook like gates for free! Depending on whether the user has 'liked' your Facebook page or not, you can control how much of the page the user is allowed to see. 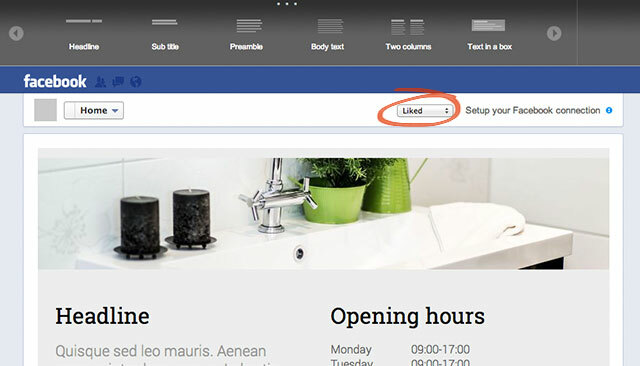 Simply log in to your mono Facebook page and choose between liked/not liked. This is especially great if you want to share e.g. new products or great offers with existing fans only or if you run a competition. What is a priceless mono function or feature for you? These were simply our thoughts on what we think are helpful but perhaps not obvious features of the mono tool. 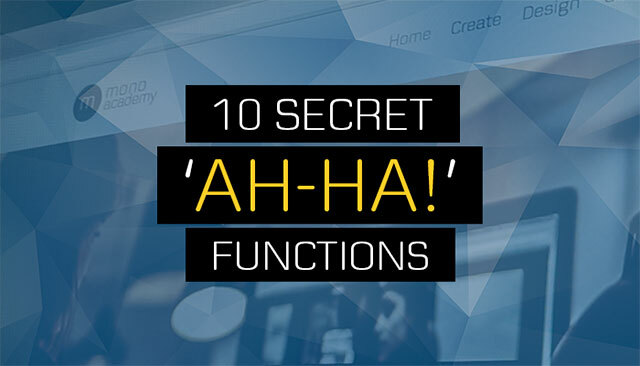 If you have a favorite function in mono others might find useful, please share!